Today is September 22 and your scheduled surgery will be on October 5. Papa will be home October 1st so you both can still have time to play and we can have our family picture – all of us smiling. X.S. 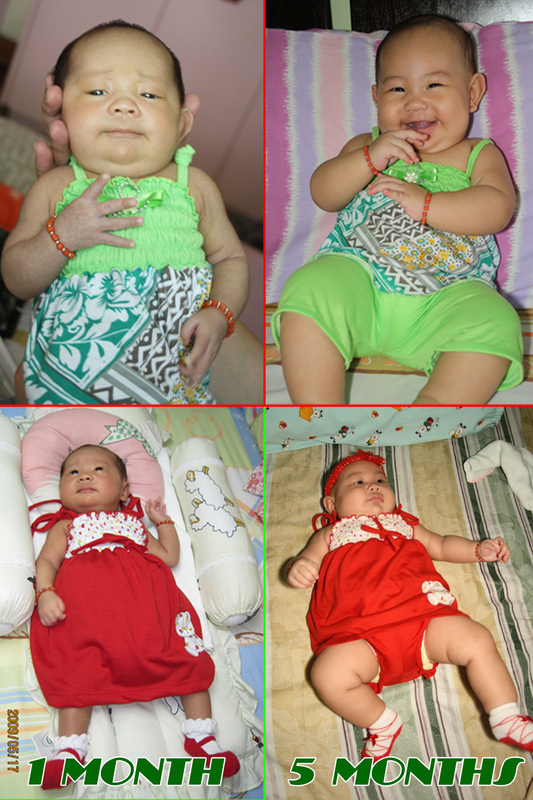 Below is a picture of you when you were 1 month old and 5 months old using the same dresses. I love your smile baby… And your papa thinks you’re very pretty!